It is a really simple thing that gives a lot of pleasure to those of us crazy about movies. Film or movie quotes might be that one line dialog or two in an entire movie. But, just like a good scene, a memorable one-liner in a movie stays on. Some famous movie quotes even become part of street speak (“Go ahead; make my day” – Dirty Harry). Some are so natural that we don’t even realize that they actually came from a movie (“There’s no place like home” – The Wizard of Oz). Some become clichÃ©s (“That’s classified. If I tell you I’ll have to kill you” ““ Top Gun), and some become folklore (“May the Force be with you” ““ Star Wars IV). If you are a film buff you have lots of places to revisit and relive them. Sandwiched between a search engine and an encyclopedic site like IMDB are these ten that are only about famous movie quotes. Subzin is a search engine that helps to settle an age-old argument – which movie is this quote from? Type in the quote and you get the answer. Sometimes quotes get reused in similar forms in a lot of other movies or TV shows too and so you can have multiple results. Just like any search engine, the accuracy of the results depends on the correctness of what you type in. At MovieWavs, you get to read and hear the original one-liners from movies and TV shows. 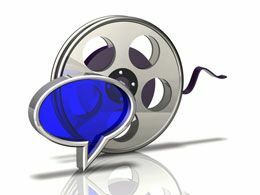 The site showcases movie quotes and downloadable movie sound files. At present you have 17,196 wav files and 17,196 mp3 files available for free download from a long lineup of films, TV and cartoon shows. You can listen to them online, right-click the link and save it as MP3 or WAV, and even get it as an iPhone ringtone. The movie quote website says that it has a million famous and funny movie quotes and movie lines in their database. Here you can not only browse through the movie quote collection but also submit your own. The Movie Quote game sounds like an interesting guessing game though lately it seems to be having some coding problems. Killerclips.com gives you a different way to revisit great movie quotes. The site is actually meant to host miniclips of movie scenes, but then most of the memorable scenes have memorable quotes. Search by keyword or browse the alphabetical index. Each title has its own page. A small Flash clip tells you the number of quotes you can reference in the movie. A mouseover on the circles plays back the audio of the quote. Little emoticons also categorize the quotes. At Vorby.com, all quotes are contributed by the community of users. Some of the quotes also have an associated YouTube video attached with it. Some videos are removed because of copyright restrictions of course. As a member of the community, you can rate quotes, arrange your favorites in a list and reorder them around. After all that, you can also share your favorite quotes with other members. Filmsite has a great collection of movie quotes. For sheer variety you have lists like Greatest Film Misquotes and Greatest Brief Film Quotes. Some of the quotes have attached sound files too. Film buffs might want to take up the challenge of the few quizzes on the page. Test yourself with Hilarious Quotes in the Movies Quiz or The Mafia Movie Quotes Quiz. The site is an email web game which tests your knowledge of movie quotes. Sign up to receive an email with a quote from a movie every weekday. Answer that correctly and you win points. Be the first to answer and you get extra. We know that Wikipedia itself is a huge source for movie plots 7 Ways To Use Wikipedia As A Search Tool For Movies & Movie Tidbits 7 Ways To Use Wikipedia As A Search Tool For Movies & Movie Tidbits Read More and other background information. The sister wiki, Wikiquote includes most of the titles found there in a large alphabetical list. Clicking on any title takes you to the movie page with lines of memorable dialogs spoken by the characters. Also, you can check out the cast lineup and taglines for the movie. Wikipedia also has a page on a list of the top 100 movie quotations in American cinema. Guess which movie has the most mentions on the list? Here, you can submit famous movie quotes which you think really struck a chord. But browsers can go through the quotes by genre, title, year, or just do it randomly. The good quotes also get rated by points. There isn’t an aspect of films and movies that the web hasn’t tapped. Do you go back and relive standout cinematic moments with the help of quotes? Let us know if these sites help. Frankly, MUO, I don't give a damn! Heh. I'll agree with that one atop the list as most memorable. When it comes to movie info including quotes, I don't have to go further than IMDB. I'll rarely use WikiQuote. QuotationsPage.com is great for published quotes and I go there regularly for the motivational quotes.